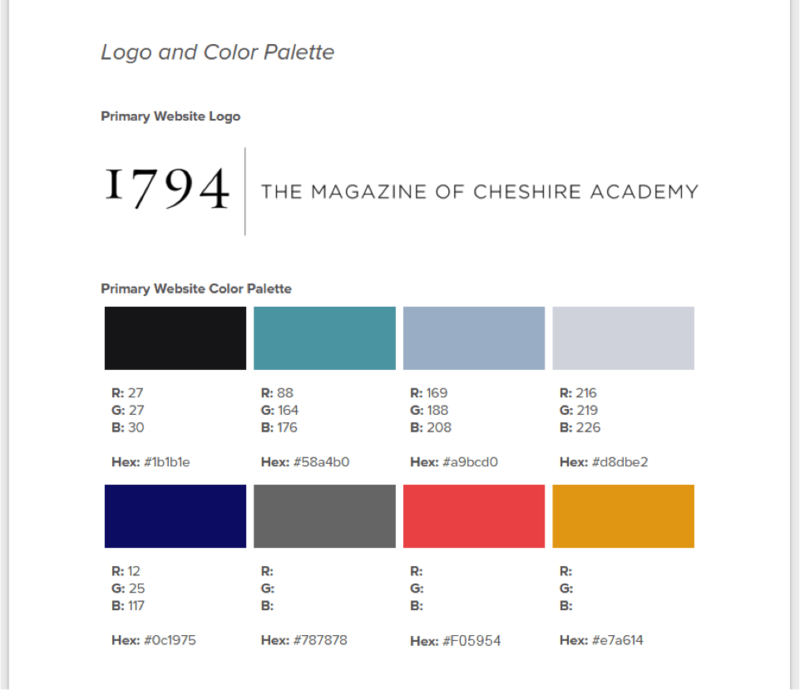 The digital website for 1794, the Magazine of Cheshire Academy, was a true labor of love. As the first website I designed and built without a team of developers (besides my own), it holds a fond place in my heart. When the Director of Strategic Marketing and Communications suggested that we publish a digital magazine as a companion for the three print versions produced yearly, my first question was, “What’s the budget?” As we started discussing costs, I floated the (very tentative) idea that I might be able to build it myself using our current CMS tools. 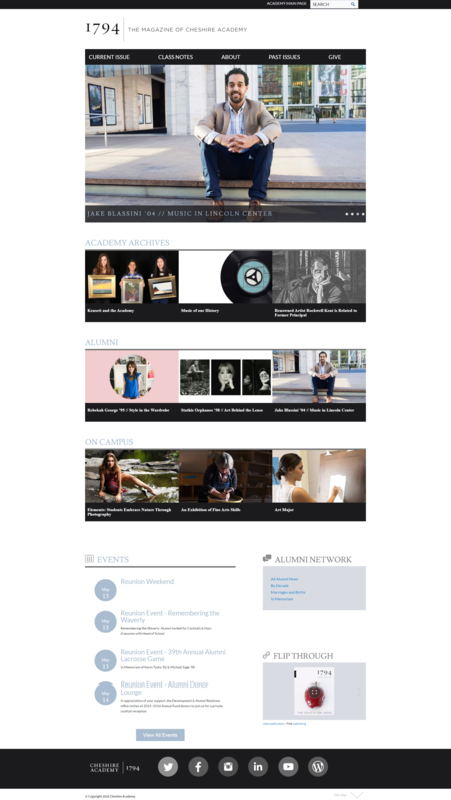 I first mocked up the website in Photoshop using a color palette and typography suite created by the director and our in-house graphic designer. I then built the site using Blackbaud’s K-12 OnMessage product. 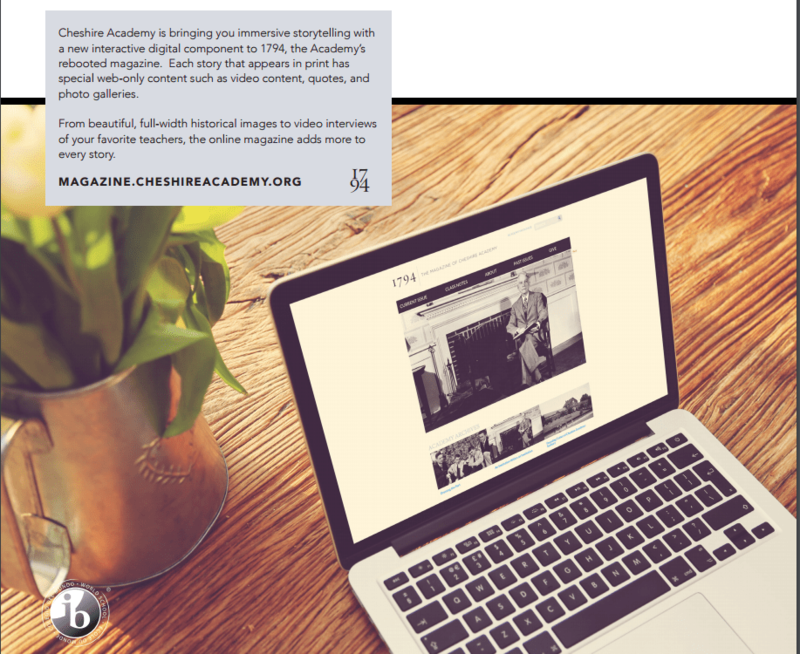 Pulling from inspiration from the New York Times, I created a template for magazine articles that used a minimal sticky menu with a micro-logo. 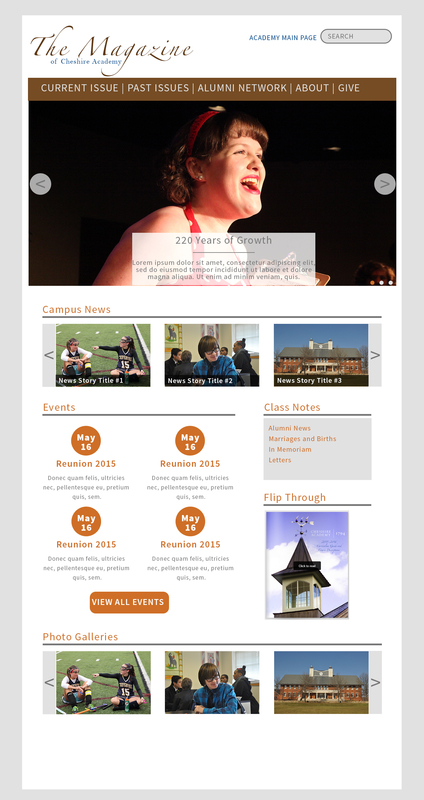 This menu differed from the homepage, which used a mega menu, giving users a more clean reading experience. I also wanted to mimic the print version of the magazine, which included advertisements for our annual fund, giving programs, and summer camp. To do so, I created sidebar ads that are random by page load. Finally, it was important to me that the digital magazine do more than the print version. Thus, I organize “bonus content” for a select number of articles to ensure that the digital magazine adds just a little bit more to every story. 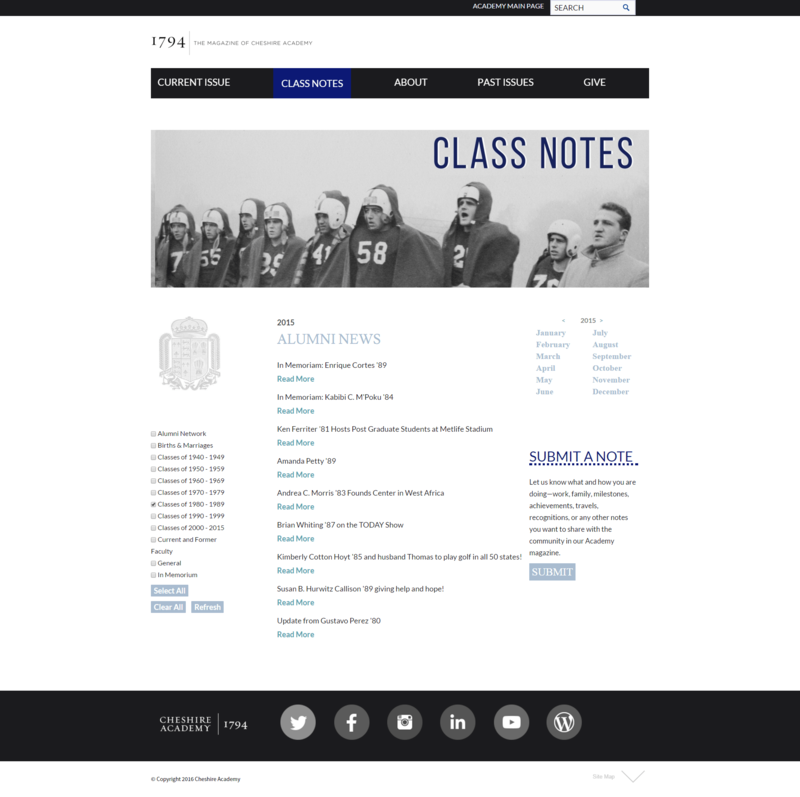 Just for fun, here is the first draft homepage mock up I created in Photoshop, and here is the final iteration of the homepage after several committee meetings and revision sessions. There were several drafts in between, as well. For every web design, I create a “site specifications document” that houses image sizes, hex codes for colors, and approved logos.